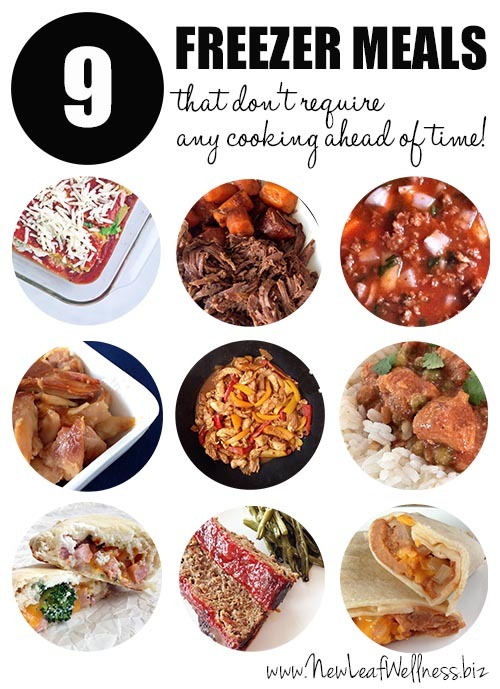 Here are nine freezer meals that don’t require any cooking ahead of time. That’s right. NO COOKING. 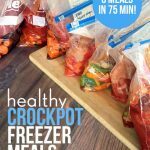 Simply combine the meats, vegetables, sauces and spices, and freeze! This blog post was inspired by one of my best friends, Heather. 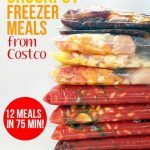 We were at a “girls’ night” last week and she mentioned that she loved my 15-Minute Freezer Recipes Cookbook from my cookbook bundle because it focused on 10 “no-cook” freezer meals and provided a grocery list. She said that she spent two hours making almost all of them and it was so easy to stock her freezer. Actually, the lasagna recipe makes two pans of lasagna, so I guess this is actually a list of TEN freezer meals. There’s no cooking required before freezing – simply combine the ingredients and freeze. 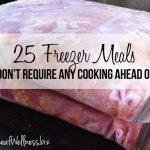 The meals cook for the first time after being frozen so they don’t taste like leftovers at all. For the carrots and other fresh vegetables, do you blanche them first before you put them into freezer meals? How many ppl does each meal feed? ?